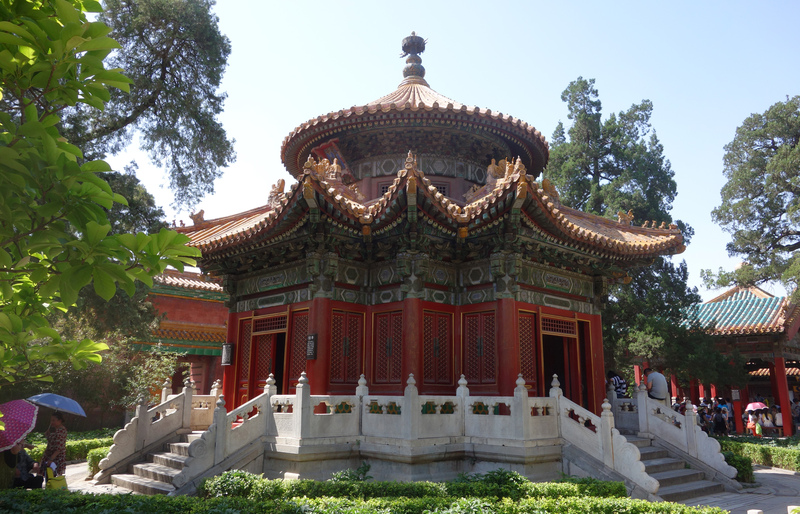 The Hall of Gathering Elegance, where the empress Cixi, who was formerly a concubine, actually lived. But who lived in the Palace? One rather assumes that such palaces were for the central bureaucracy and the various ministries; if so they were well concealed. In fact, the palace was mainly residential. It was the place where the emperor lived, the place where the concubines lived, and the eunuchs who looked after them. 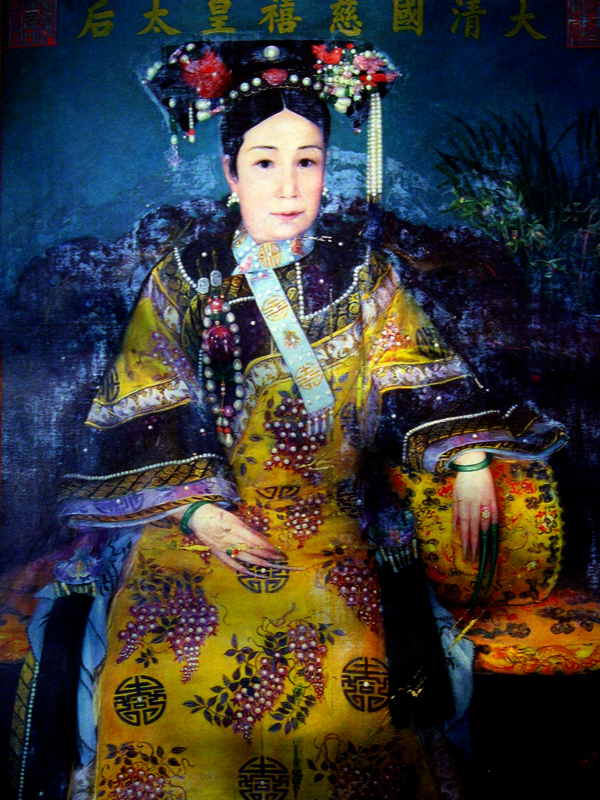 One authority claims that there were 10,000 concubines living in the Palace, which does seem rather excessive. One guidebook says that the imperial family spent most of their lives in the palace, but another says that in fact they lived most of the time in the Summer palace, 10 miles to the north west and only came down to the central palace for ceremonial occasions. 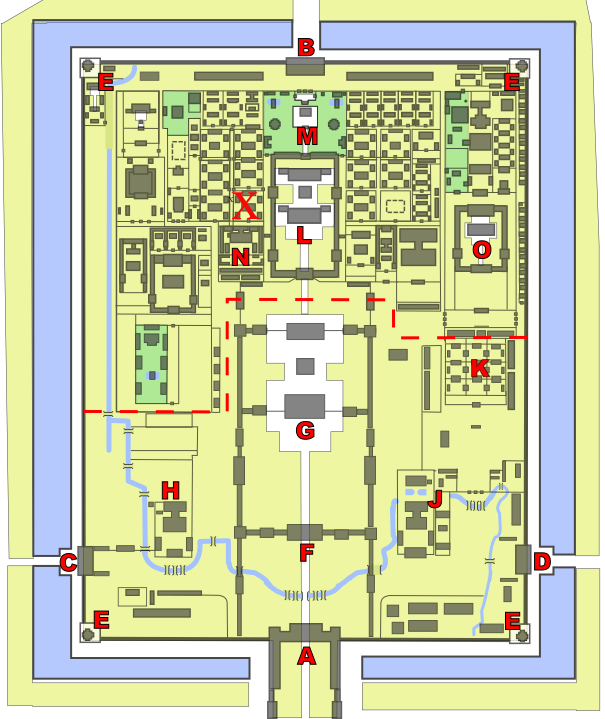 Plan of the Palace, courtesy of Wikipedia. Enter at the bottom (A)and the main ceremonial halls are at G. The area where the courtesans lived is marked with an X . (Double click to enlarge). One of the long passages, leading from the ceremonial area to the living quarters. The ceremonial part of the palace is to the right, the living quarters to the left. 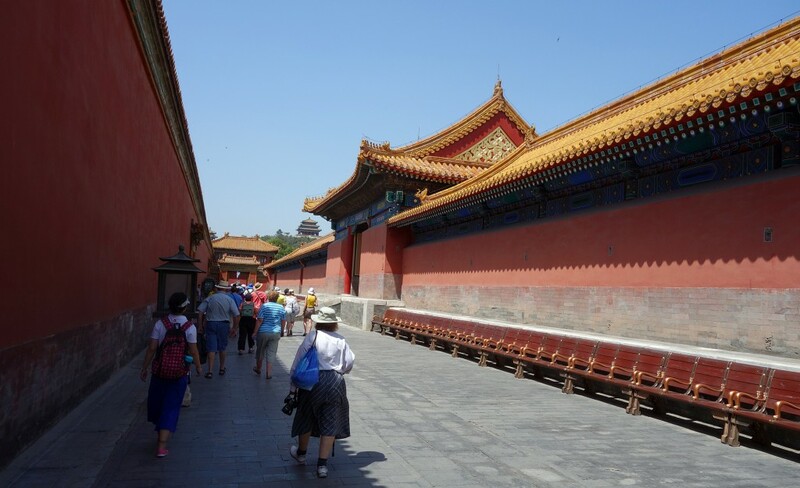 Perhaps not surprisingly, there are many long passages within the Palace, connecting the various parts. 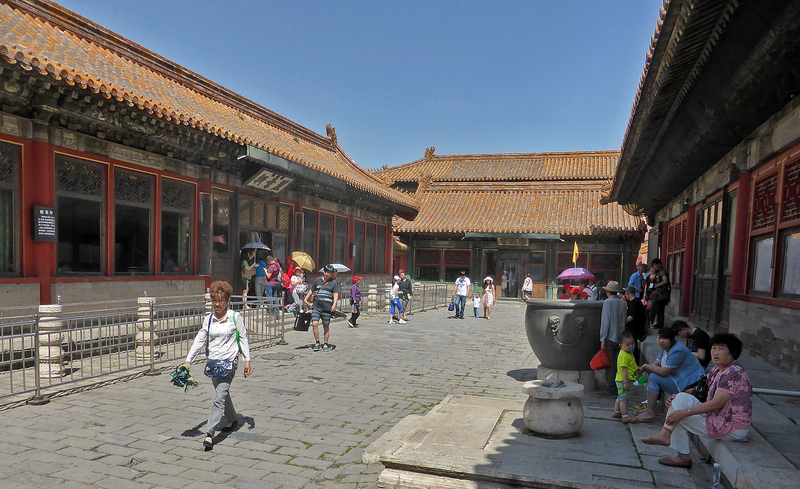 Here the main palaces are to the right, and the residential quarters for the concubines and eunuchs is to the left. 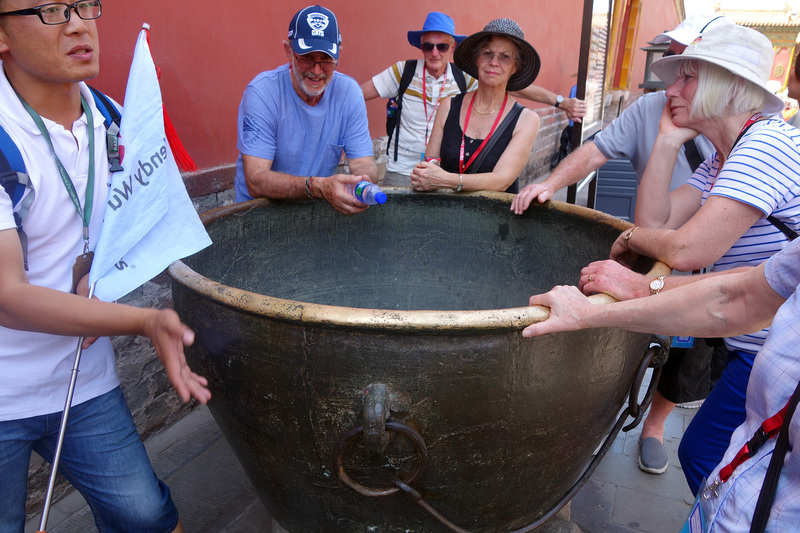 The passages are lined with huge water vats which were demonstrations of power and wealth, but served the more mundane purpose of providing water in case of fire. The courtyard of the Palace of Gathering Elegance, with the two main Halls left and right. Towards the end of the passage one turns into what is known as the Western palaces where the last rulers of the Imperial China lived in the late 19th century. This is known as the palace of Gathered Elegance, which is typical of living quarters in the palace. They all consisted of a courtyard with a front and a rear hall and various annexes – the halls left and right, an annexe at the far end. This particular palace is dominated by the figure of the Empress Dowager Cixi who began life as a courtesan, conceived a son who became Emperor in 1861 at the age of five, but Cixi took over as regent and dominated the court for the next 50 years. Today they are laid out as they were used by the last emperor of China known as Puyi, though the Western ambassadors called Henry. He was finally deposed by the warlords in 1924 though he lived on for another 40 years ending up in the Cultural Revolution as a Palace gardener. In 1922 at the age of 16 he was married but was most alarmed to meet his wife dressed all in red, and scared at the prospect of conjugal rights, so he fled and spent the night in the Palace of Mental Cultivation, studying his favourite ants. (This apparently is his own account, written 40 years later, when, after he had been ‘re-educated’ in the Cultural Revolution, he wrote his memoirs). Central pavilion of the Imperial Gardens. 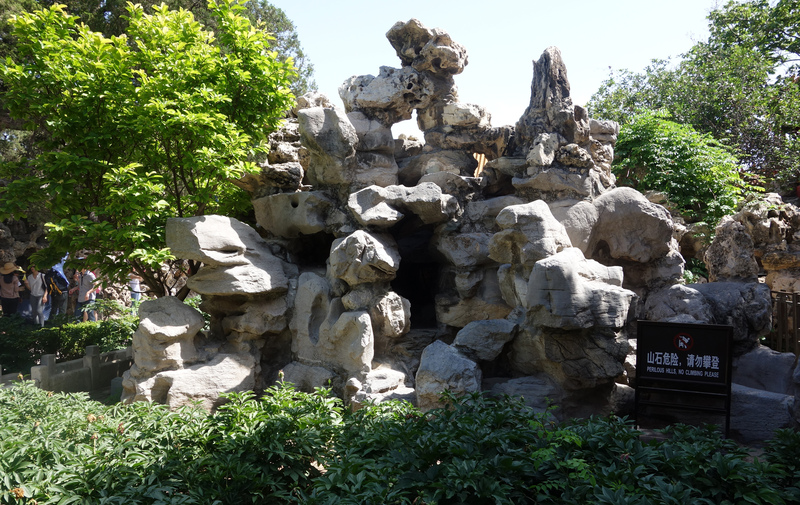 At the rear of the Palace are the Palace Gardens a small and intimate collection of pavilions and rockeries. The rockeries are most odd to Western eyes is that they consist of pumice stone, apparently brought a vast expense from the ocean beds: this was thought to form a most harmonious composition. The North Gate of the Forbidden city, showing the intimidating walls. The gardens then lead on to the northern gates of the palace, today the main exit. 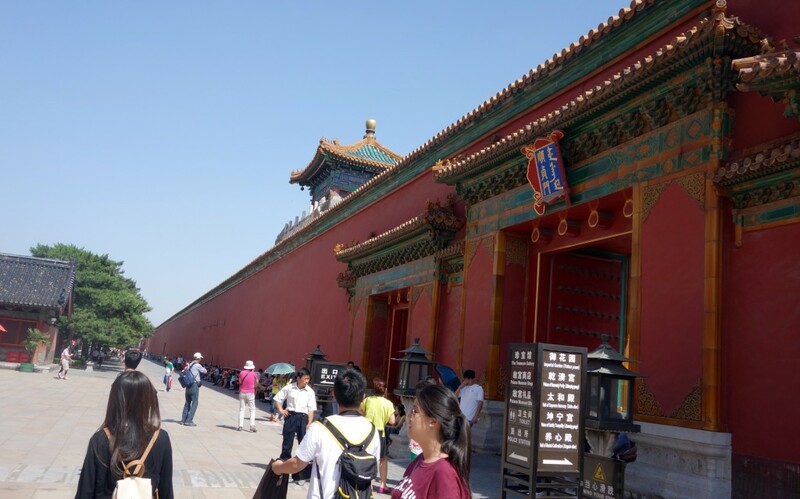 This provides a good view of the walls of the palace, which demonstrate well why it was known as the ‘Forbidden City’. Corner of the moat surrounding the Imperial Palace. Note the temple on the far side, marking the corner. And then, outside the Palace, there are two big surprises. 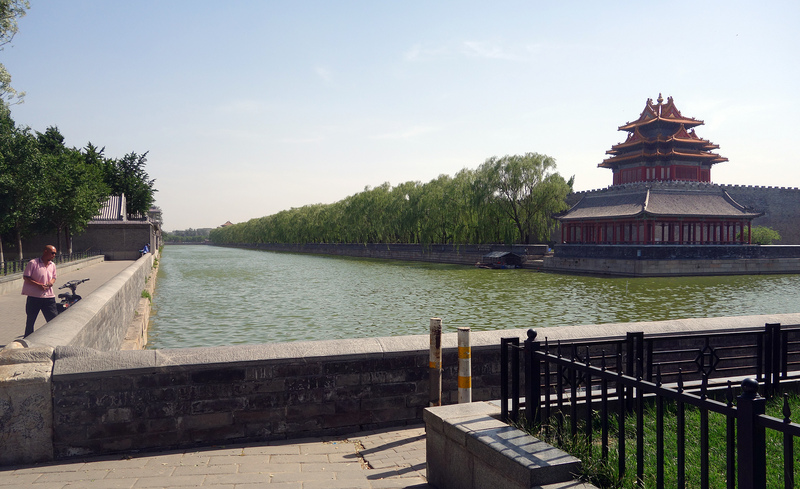 The first is the vast moat that surrounds the palace, 52 metres wide. The Jungshan Hill, formed from the spoil dug out of the moat. The second surprise is the hill that rises to the north of the palace. 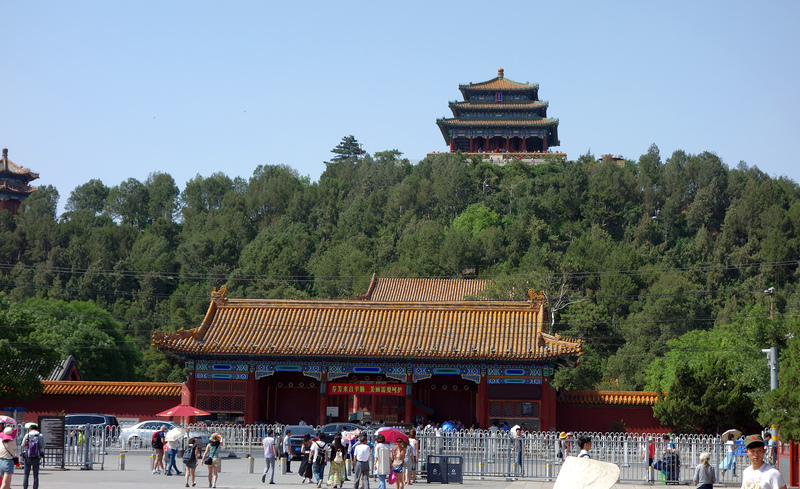 This is not a natural hill at all, but so much spoil was dug out of the moat that it was all heaped behind the Palace where it forms the Jingshan Park with a pavilion on top of it. In many ways it is the most impressive monument to the huge labours that were involved in erecting the Palace in the 14th century.